An economist has said the Scottish Government may have underestimated healthcare funding needs by more than �400 million. An economist has said the Scottish Government may have underestimated healthcare funding needs by more than £400 million. Economist John McLaren criticised the government’s recent paper on its medium-term financial framework for health and social care, for what he claims is a lack of clarity. He raised concerns over “untenable” discrepancies between the government’s estimates of its future funding needs for healthcare and those detailed in an independent assessment for the healthcare system in England. 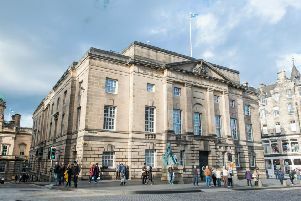 The report states: “The best like-for-like comparison suggests that the Scottish Government estimate is for around 3.5% annual, cash terms, funding needs growth over the next five years, as compared to around 6.7% estimated for England. His analysis here is based on a modernisation option for England, which he claims is the best fit for the Scottish aspirations for improvement. Mr McLaren also cast doubt on the forecast efficiency savings in the Scottish Government paper of 1.3%, above what he claims is the best comparison of 0.8% in the English analysis. However, in this analysis he uses the status quo option for England rather than modernisation, which would put both countries roughly equal at a projected 1.4% for England. He said: “The Scottish Government’s recently published medium term financial plans for health and social care do not allow for a clear picture to emerge of future funding needs. “This confusingly presented document appears to suggest that Scottish funding needs in this area are considerably below those estimated for England. “It is difficult to see why this would be the case. “In addition, projected efficiency savings are anticipated to be higher for Scotland than for the UK and heighten the degree of over-optimism that seems to pervade the report. Scottish Labour’s health spokeswoman Monica Lennon said: “This report should be taken seriously by the SNP government. “If such a gap exists, it would raise serious concerns about the funding of our NHS. A Scottish Government spokesman said: “Our health spending per head is over 7% higher than the UK as a whole - amounting to over £850 million more spending on health services for Scotland.